[ blog.danhett.com ]: Announcing... the Manchester Game Jam #3! 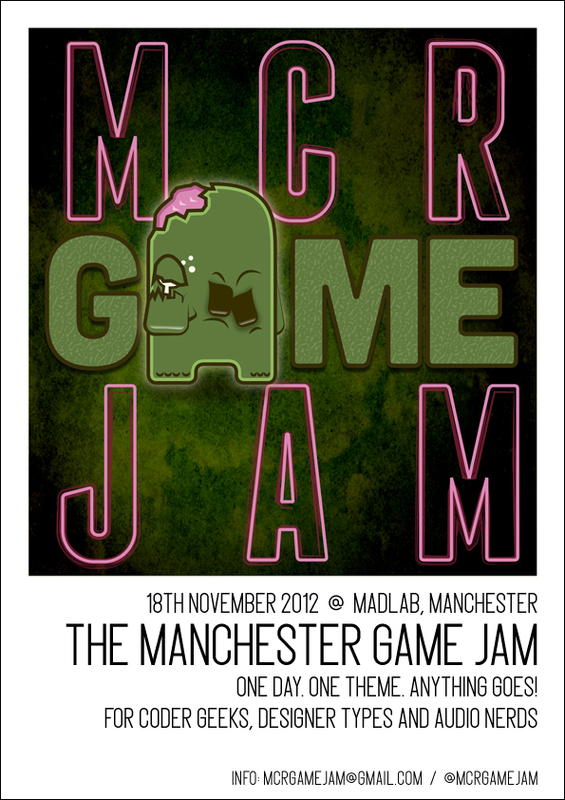 Announcing... the Manchester Game Jam #3! The Manchester Game Jam is pleased to announce our November jam, which will be the first of our new shorter monthly events. We'll be back at the ever-awesome Madlab in Manchester's northern quarter. This jam is a bit different to the weekend ones we've done previously: there'll be a single massive theme for the day that we'll announce a few days beforehand (so you guys have a bit of thinking time). As always you can use any language/technology, groups or solo efforts are both A-OK, and if you're making a none-digital game then that's fine too (in fact, we encourage it). We do have one rule though: at the end of the jam day you have to present what you've made, successful or not! Disclaimer: as this is a very intense short jam, we (politely) suggest that beginners avoid this event and come join us for the weekend jam in December instead, where there's more time for newbies to learn the ropes a bit. As soon as the Ludum Dare guys decide on a date we'll put the word out. So yes, jam #3 is go! Tickets will be on sale shortly, they'll be about a fiver to cover venue costs. We're not covering food to keep costs down, but there's lots of nice eateries/drinkeries in the northern quarter.